I’m sure you’ve noticed me talking a lot about our stylist extraordinaire, Angela Belt. 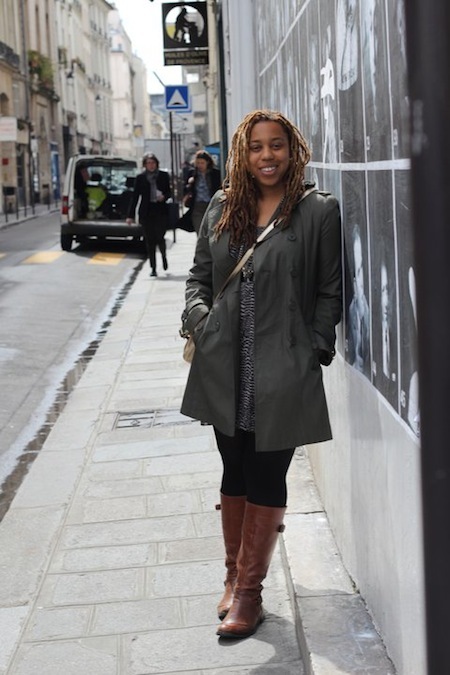 Not only is she the amazing stylist behind all of our AphroChic catalog shoots, she also has a full-time job as the visual for the Room & Board Washington DC showroom. That amazing showroom on 14th Street – she designed every room setting you see in the store down to the floral arrangements. And oh yes, she’s also my baby sister (design seems to run in the family). 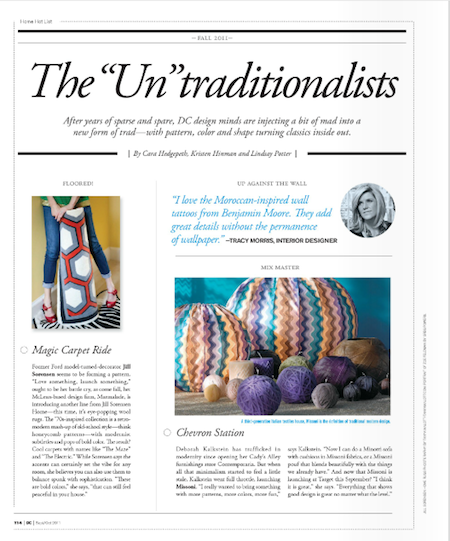 If you live in DC you may have spotted her in the Fall issue of DC mag’s article, The “Un”traditionalists. 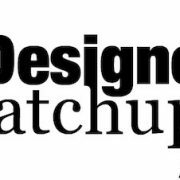 It’s a great article on how DC design is moving into a new form of trad style – full of color, pattern, and modern classics. 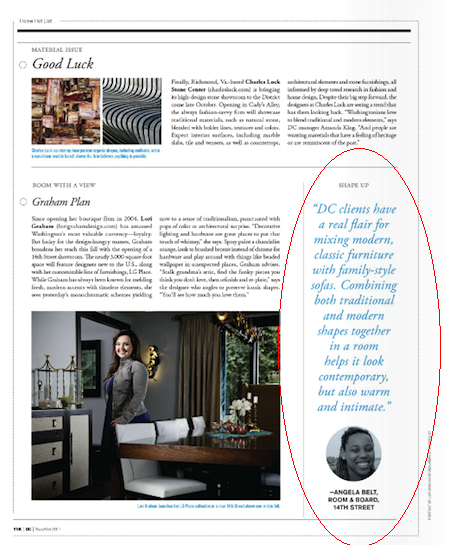 You can check out what Angela and other DC designers have to say about the new trad style in the online version of the mag. 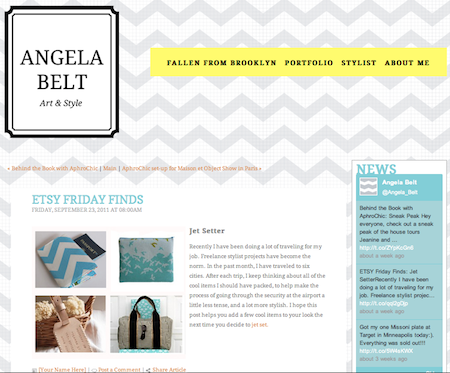 And be sure to also make a visit to Angela’s site showcasing her portfolio and her favorite etsy finds every Friday. Sponsor Spotlight: Tea's 10th Anniversary! Press: Apartment Therapy SFAS Saturday!